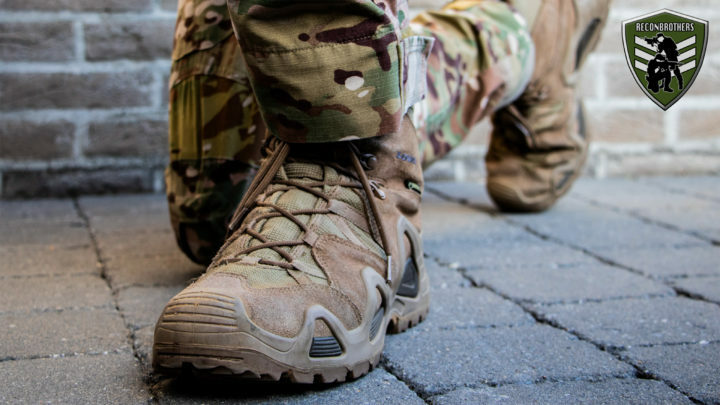 The inner layer of your boots can be protected with a TEX-membrane. 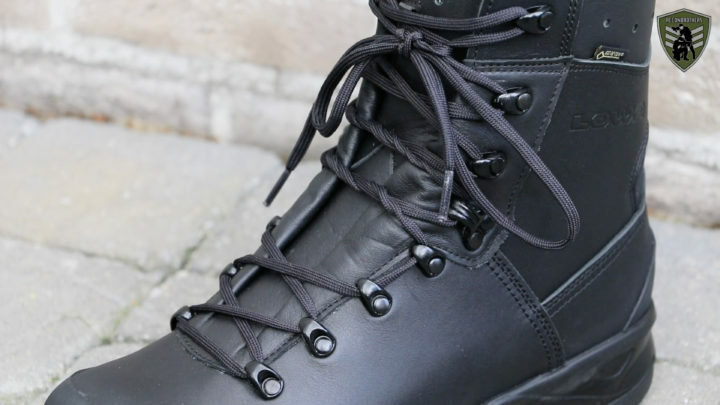 But whether your boots have a TEX-membrane or not, the outer layer always needs protection against the elements. 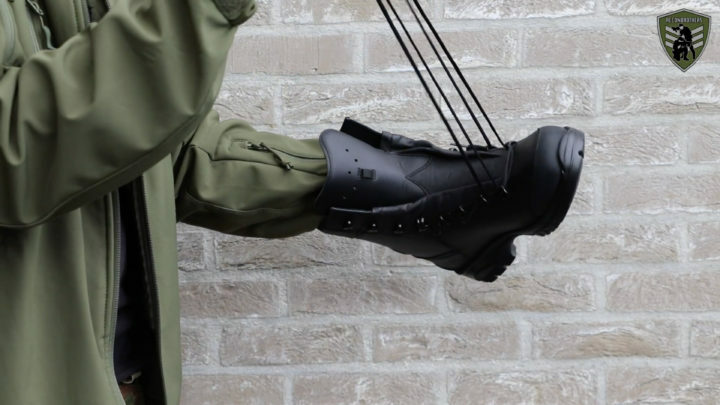 This is why you should always Waterproof Tactical/Outdoor boots. A waterproofed outer layer will not absorb moisture and will keep it’s breathability. This makes your feet stay dry for longer periods of time. 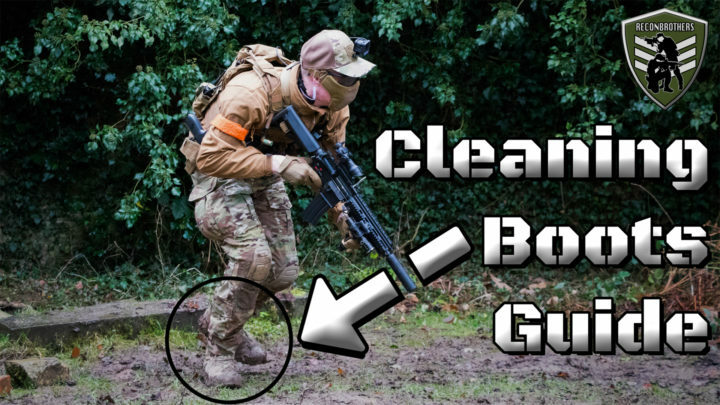 Waterproofed boots are much more easier to clean! 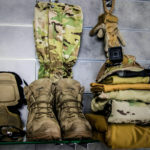 Follow the steps below to learn how to keep your feet dry and also make the cleaning process of your boots easier next time. 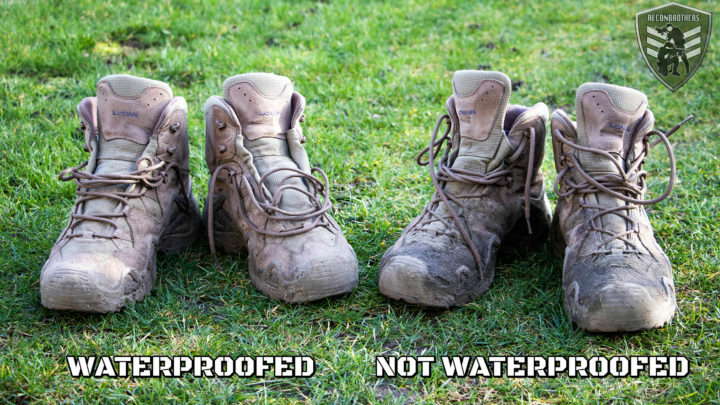 Make sure your boots are clean before applying the waterproofing product! 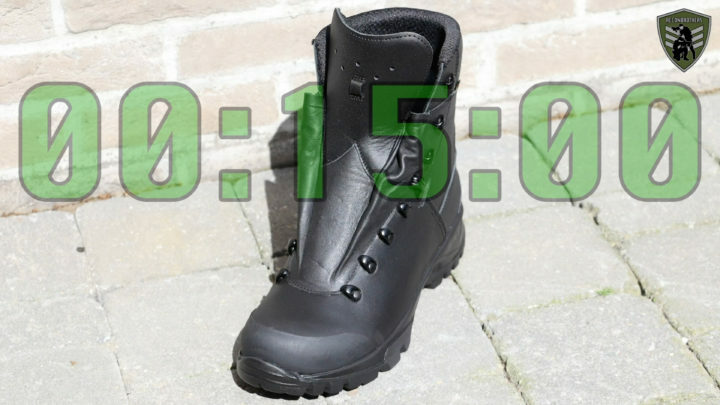 Take your boots and the waterproofing product to a well ventilated area. You best go outside to do this. 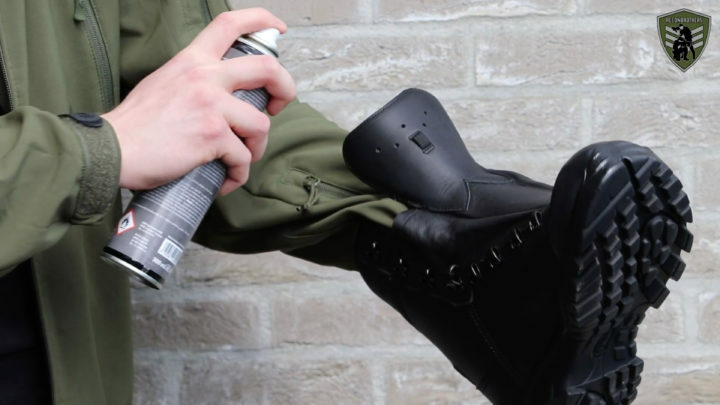 Take the waterproofing product and spray it evenly over your boot. Spray about 30 cm or 12 inches away from your boot and make sure to overlap the different areas you spray. Don’t spray too much in one spot because the material cannot absorb a lot of product! After spraying both boots you want to let them dry for 15 minutes in a well ventilated area. Repeat step 4 and 5 two more times. 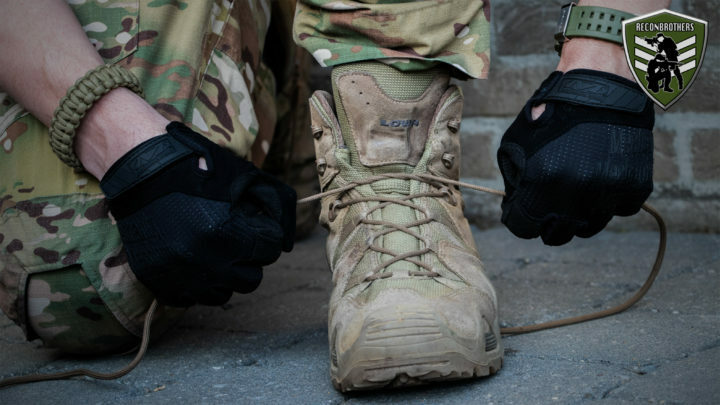 Don’t forget to put the laces back in your boots or you won’t get far next time you use them. Done, Enjoy your dry feet! Know someone that’s getting tired of having wet feet in the outdoor? 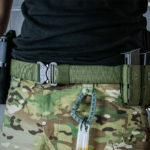 Share this blogpost with that person and save your ears from any future whining.